NeNe Leakes and Cynthia Bailey's friendship has been left in tatters after a dramatic season 11 of Real Housewives of Atlanta. 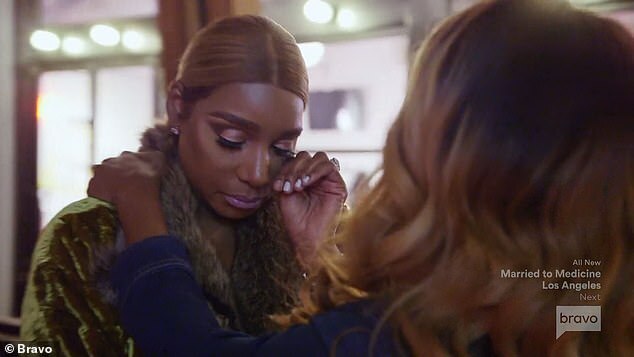 And Sunday night's finale episode exposed some of why NeNe had accused Cynthia of being 'sneaky' and a 'liar' on Instagram Live last month. 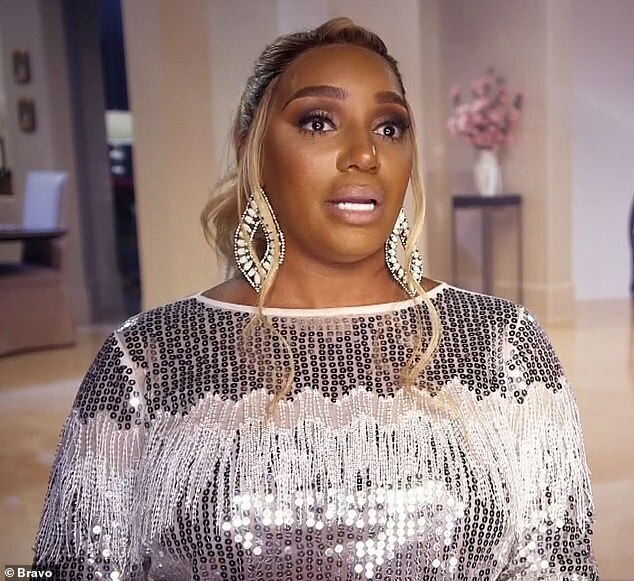 Cynthia was caught on a microphone trying to cover up the fact she had invited NeNe's rival Kenya Moore - who left the show after season 10 - to an event without her knowledge. 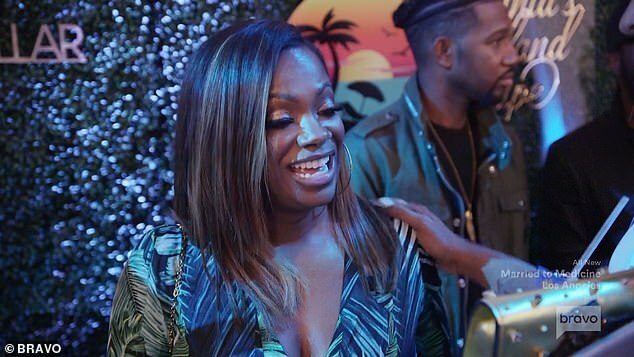 'I’m supposed to act like I didn’t know Kenya was coming,' Cynthia was heard whispering to boyfriend Mike Hill at the launch of her signature peach Bellini drink for Seagram's. Off camera she was caught with Kandi trying to cover things up. 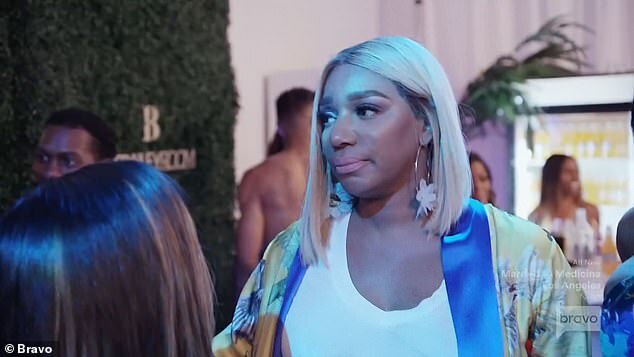 'I just want to make sure we was on the same page, setting up how Kenya got here,' she told Kandi. 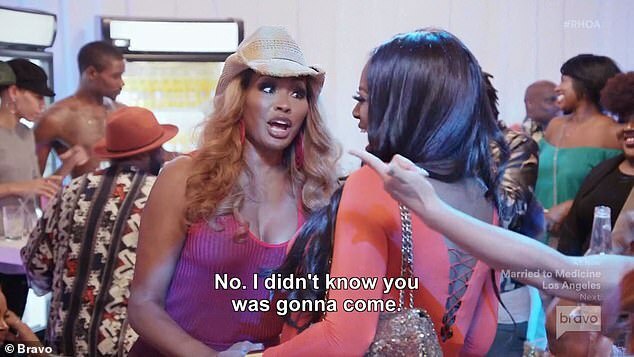 Watching the episode before it aired, NeNe was upset to see Cynthia's conspiring and took to social media to put her friend on blast and declared the friendship was over. She also unfriended most of her castmates. 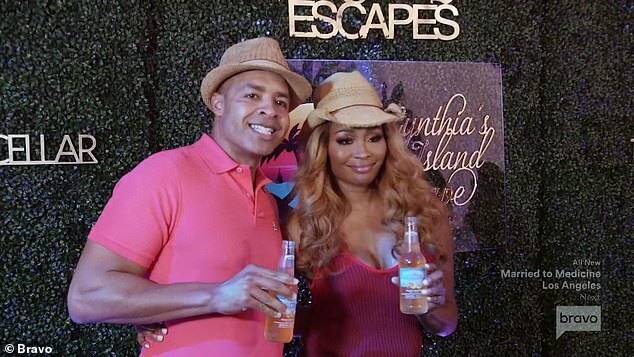 Kenya, 48, surprised many of the women on Sunday's episode by arriving at a launch party for Cynthia Bailey's signature peach Bellini drinks for Seagram's. 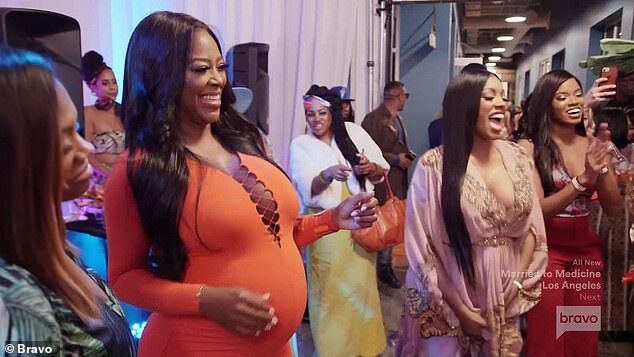 'Oh, I think a monster's here,' said NeNe, 51, as soon as she saw her nemesis, wearing a figure-hugging bright orange dress showing her pregnant belly.